Noa is a multi-disciplinary designer. She holds a BA in Textile Design from Shenkar College of Engineering and Design in Ramat-Gan, Israel. 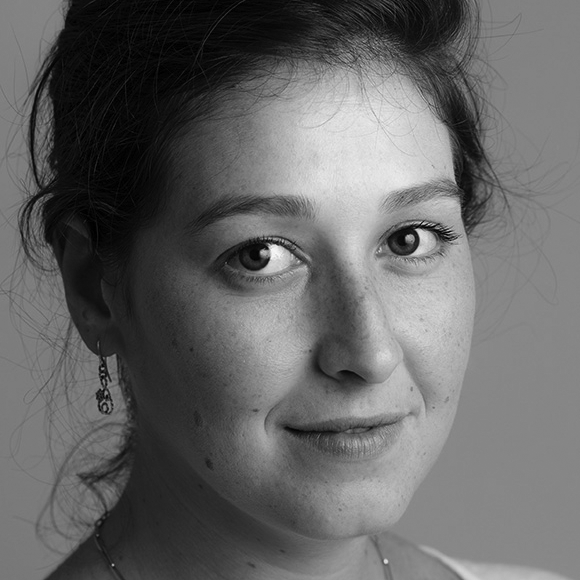 Noa has 7 years of extensive experience working in the fields of Stage and Set design, playing a wide range of roles during design projects as Set Designer, Creative manager, and Costume Designer. Some more-recognized productions Noa was involved in are being the Props Master for Masterchef Israel and Set Dresser for various TV promos for Keshet International Company, an Israeli media conglomerate and as Set Dresser for TV drama series for Hot Cable communication. Noa also holds a diploma in Therapeutic Horseback Riding. She has been working as an instructor for the past 2 years with children of all ages with a variety of developmental problems, such as Down syndrome, Autism, Physical limitations, Neurological, Sensory, Behavioral problems, and ADHD. She is interested in the exploration of design strategies in bringing social, educational, and public health reforms.